Are you considering the Sharp LC-32LE451U 32-inch high-definition 720p television? It supported the low-cost, high-definition television market with good features at a reasonable price but is now a discontinued 2013 model. You can still find refurbished and used units from some sellers for cheaper prices, but newer models have better features for a bit higher prices. You will appreciate larger screen sizes and higher image resolutions in this price range, so why not consider them? We will review 10 LED models ranging from 32 to 43 inches that are similar to the LC-32LE451U, compare features and provide recommendations for your evaluation. You may be surprised by the results. What are some features you need to consider when you search for your perfect low-cost high-definition teleVizion? Here are five items for comparison. 1. How does screen size compare to resolution? TV resolution is a measurement of picture quality. Two teleVizions with the same screen size can have different images based on resolution. Light emitting diode, or LED TV images look more detailed and vibrant when they contain more light points called pixels. High definition or HD begins at 720p with 1,280 horizontal and 720 vertical pixels. Full HD, or 1080p screens have 1,920 by 1,080 pixels and Ultra HD or 4K teleVizions display 3,840 by 2,160 pixels. The teleVizions in this review have similar screen sizes and different resolutions. You can compare screen sizes to image resolution to find your best TV solution. 2. What does refresh rate mean? We can look at old analog film technology to learn what the digital refresh rate means. Movies used to be projected on a screen when each film frame passed by a light source. The image appeared to move as each frame changed slightly because the film passed by the light very quickly. You can think of the teleVizion refresh rate similarly. Items on the screen appear to move when the TV image refreshes. Each digital image changes very quickly similar to a film frame as it passes through the projector. Faster refresh rates produce sharper images, especially in fast-action sports. A football may blur slightly on slower refresh rate teleVizions. Most teleVizions have a 60-hertz refresh rate but some sport higher speeds for better image quality. 3. What is a smart TV? Many people choose to “cut the cable” and watch streaming services such as Netflix, Hulu or Amazon Prime. Standard TVs can only project images from over-the-air antenna channels or a cable channel converter box attached to the HDMI port. You can buy a device such as Roku, Apple TV or Amazon Fire to play the streaming channels. A smart TV has the streaming channel hardware built into the unit, so you do not need to purchase and attach a separate device. 4. Why are HDMI ports important? Do you have a DVD player, smart TV unit or game player? Maybe you enjoy viewing pictures or movies from your camera on your set. Many of these devices require an HDMI port to connect to your TV. Sometimes you need that one extra port, so three ports are better than two. 5. Should I shop online or in the store? There are pros and cons when shopping for teleVizions in a store versus online. It is best to view the actual model if it is available in a local store. You can compare the image to other sets and observe how resolution, refresh rates and other features appear on the screen. Knowledgeable sales representatives help provide useful information and some offer in-store warranty repair. You may find lower prices and free shipping at online suppliers. Some stores match prices if you print the identical model page from the online seller. One approach is to shop online and see if the model is available at a local store. There are many televisions on the market, but we based our review on models similar to the Sharp LC-32LE451U 32-inch HD 720p television. Screen size was the main consideration. Entry level sets tend to have smaller screens and lower resolution to keep costs down, but there are many options within a small price range. Some sets have smart TV hardware built into the unit. We gathered technical data from manufacturers’ websites and researched user reviews. Online retailers may have lower prices than big box stores but many honor price matches. These models represent the entry-level television market. The prices range from $ - $$. You can find excellent features such as high resolution, fast refresh rates and built-in smart TV capability. 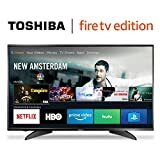 This Toshiba smart TV has a larger 43-inch screen than the discontinued Sharp LC-32LE451U with 4K 2160p resolution for $130 more, an excellent buy. 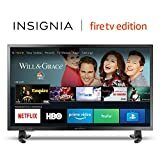 You will appreciate the built-in Fire TV capability with thousands of channels. Programming varies for each smart TV device, so we recommend you compare them before your purchase. You can even launch apps, control your TV and play music using voice commands from Amazon Alexa. The 43LF621U19 has great features for a relatively low price. The LG 43UK6300PUE is another great choice for a 43-inch 4K teleVizion at a reasonable cost. Sharp uses AI ThinQ® smart TV technology to drive the Google Assistant integrated into the set. It also supports Amazon Alexa for the best of both worlds when using the LG Magic Remote purchased separately. The quad-core computer chip processor runs faster, improves sharpness and reduces video noise. The LG is a power set for a slightly higher cost over the Toshiba model. The TCL 40S305 40-inch set has a large screen with Full HD 1080p resolution. Roku smart TV technology drives thousands of available channels without having to plug in a separate unit. This model has a fast 120-hertz refresh rate which eliminates motion blur in fast-moving action. The resolution is lower than 4K models and costs less. You can make a better decision when you evaluate how much 4K content you watch. The RCA RTR4360-W is another good choice for a smart TV with integrated Roku teleVizion. The 43-inch screen portrays vivid Full HD 1080p resolution. Users are enjoying finding that needle in a haystack show with the voice prompt driven Roku Search feature. The RCA unit may be for you if you enjoy exploring new programming. Samsung products are well-known for their quality, and the UN32N5300AFXZA is no exception. This model has a smaller 32-inch screen and is similar to the discontinued Sharp LC-32LE451U. Solid features include Full HD 1080p resolution with a 60-hertz refresh rate. Samsung smart TV features guide you through your programming choices. The unit sports quad-core processor technology for better image quality and faster switching between apps. Vizio uses SmartCast TV with built-in Google Chromecast technology for enhanced user experience when navigating through the myriad of available shows. The D32F-F1 model has a fast 120-hertz image refresh feature for a sharp picture with no blurring. The 32-inch screen compares favorably with similar models. You can see Sony quality in their model KDL32W600D. Resolution is lower at 720p than other models in this review yet Clear Phase® technology drives excellent audio. The Sony smart TV app supports most streaming services including Hulu, Netflix and YouTube. You can even mirror your smartphone or tablet. The Sharp LC-32LB591U has a lower price tag but does not lack in capability. This 32-inch set with a 60-hertz refresh rate powers the respectable 720p resolution for good images. You will appreciate the built-in Roku TV feature as you view your favorite streaming channels. Three HDMI ports connect key peripherals to your unit. The $150 price point may fit your budget with great capabilities and features. The Insignia NS-32DR310NA17 is another great choice for budget-minded buyers. You get 720p resolution plus Roku Smart TV in this low-cost model. Other key features like generous HDMI ports and 60-hertz refresh rate support a smart purchase decision. The Hisense model 32H3D does not have Smart TV capability yet it compares with the discontinued Sharp LC-32LE451U which also lacked this capability. You may have a stand-alone Smart TV device such as Roku, Apple TV or Google Chromecast and will not need this feature. The $119 price tag is the lowest of the models reviewed yet the set still delivers good performance with 720p resolution plus a 120-hertz refresh rate using Motion Rate 120 technology. This list HD teleVizion market offers great choices for you. If the price is no object, you may consider the higher end Toshiba 43LF621U19 or LG 43UK6300PUE 43-inch models. Both sport maximum 4K resolution with larger 43-inch screens. They use different smart TV devices so you may want to evaluate available streaming content for each one. Three HDMI ports support most of your device needs, and the 60-hertz refresh rate is standard for most TVs. The TCL 40S305 40-inch and RCA RTR4360 43-inch have large screens with Full HD 1080p resolution. Both have smart TV capability and three HDMI ports. The TCL model has a very fast 120-hertz refresh rate. You may want to view a 60 and 120-hertz set side-by-side to help your decision. The sets are priced lower than 4K models due to Full HD 1080p resolution. Check out the Samsung UN32N5300AFXZA and Vizio D32F-F1 32-inch sets if you are seeking Full HD 1080p resolution in a smaller unit. Similar features include smart TV capability and two HDMI ports. The Vizio model also has a 120-hertz refresh rate similar to the larger TCL set. Standard HD resolution starts at 720p, and the remaining 32-inch models all operate at this level. The Sony KDL32W600D smart TV with two HDMI ports is priced higher than the others due to their reputation for quality. 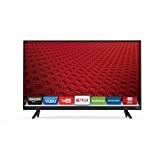 The Sharp LC-32LB591U 32-inch and Insignia NS-32DR310NA17 32-inch televisions deliver smart TV features at 720p resolution. The price points are lower than the other models reviewed for more budget conscious buyers. 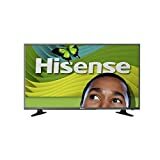 The Hisense 32H3D is the cheapest set in this list. It does not have smart TV capability, but the discontinued Sharp LC-32LE451U model also lacked this feature. The strong 120-hertz refresh rate with 720p resolution may be a good choice for a very low price.